Little aside from a peaked roof sets the modest home on Moscow Street in San Francisco’s Excelsior District apart from its flat-topped Mediterranean neighbors. The beige-painted single-story, single-family house at 401 Moscow has one bathroom and one political hopeful: union organizer and “Chinese working class hero” Leon Chow, who, as a Cantonese-speaking candidate in a district that is one-third Chinese, is seen as a viable challenge to incumbent Supervisor John Avalos in the November election. Though he did not register to vote in the district until 2008, Chow describes himself as a “longtime” neighborhood resident on his campaign Web site. Some might quibble with the assertion, Chow admits, but it’s unlikely to be a liability. Less defensible is Chow’s voting and residence history, which includes instances of possible voter fraud, perjury, and strong ties to Walnut Creek, where Chow said he lived while voting in San Francisco and still owns a condo, according to records. Chow, a former chairman of the Chinese Progressive Association, was registered to vote at the grassroots-organizing nonprofit’s offices on Grant Avenue in Chinatown from 2004 to 2008, according to voter registration records. California law requires voters to provide home addresses, not work addresses, when registering to vote. Chow has owned a condominium in Walnut Creek since 1988, property records show, and has conducted much of his personal affairs in Contra Costa County, including a 2005 divorce. 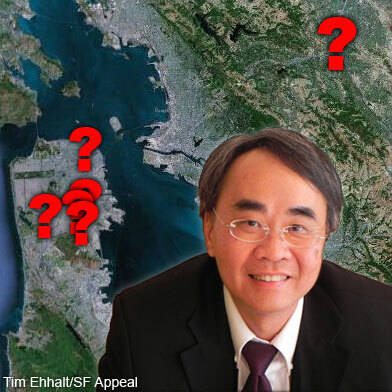 After registering to vote at the Moscow Street home in 2008 – which is owned by his current wife’s family, according to records – Chow gave the Walnut Creek address as his home address in a 2009 sworn deposition, court records show. Reached by telephone on Tuesday, Chow said he lives full-time at the Moscow Street address, and that his mother currently occupies the Walnut Creek condo. He moved into a series of inlaw units in San Francisco beginning in 2004, he said, and received mail and registered to vote at the nonprofit’s address because he was “not allowed to receive mail” at those homes. Other politicians who voted at addresses found not to be their homes, including former Supervisor Ed Jew, have been found guilty of perjury. Like many of his countrymen, Chow emigrated to the United States from Hong Kong as a young man in search of economic opportunity. He found employment as a bellman in San Francisco hotels. There, he also found status. Chow joined the hotel workers’ union and started a career as an organizer. Leadership positions with Unite HERE Local 2 and with organizing home healthcare workers – who are predominately Chinese – led to his executive position today with Service Employees International United-United Healthcare Workers West, one of the state’s largest unions. Organized labor provided Chow a conduit to San Francisco politics. As chair of the Chinese Progressive Association, Chow pushed policies to help low-income and immigrant Chinese and earned a reputation as a working class hero. He used his position to help elect Chinese candidates to office, status he now seeks as a candidate for city supervisor in District 11, which heavily supported Mayor Ed Lee in last year’s mayoral race. The runner-up in the mayor’s race: Avalos. For a union organizer with responsibilities all over the state, Walnut Creek is an ideal home base. Major freeways as well as BART lines service the East Bay city, from which San Francisco, Sacramento and the San Joaquin Valley are easily accessible. In October 1988, Chow paid $108,750 for a second-floor unit in a newly-constructed three-story condo building minutes from Interstate 680, according to records. His cosigner on the mortgage was his sister, Mil Jing Selina Chow. Selina Chow could not be reached for comment. Chow’s elderly mother lives in the condo, Chow told the Appeal Wednesday, and he occasionally spends nights there. Chow conducted some of his personal affairs in Contra Costa County. Chow’s ex-wife, Weiwen Ye, filed for divorce in Contra Costa County in 2005, according to records. Ye, now a resident of Broadmoor Village in San Mateo County, could not be reached for comment. Walnut Creek also appeared to be Chow’s home base as of December 2009. That was when Chow gave sworn testimony in a civil lawsuit filed against union honcho Sal Roselli. In a deposition taken in an Oakland law office, Chow said 1308 Walden Grove in Walnut Creek was his address, according to a transcript. 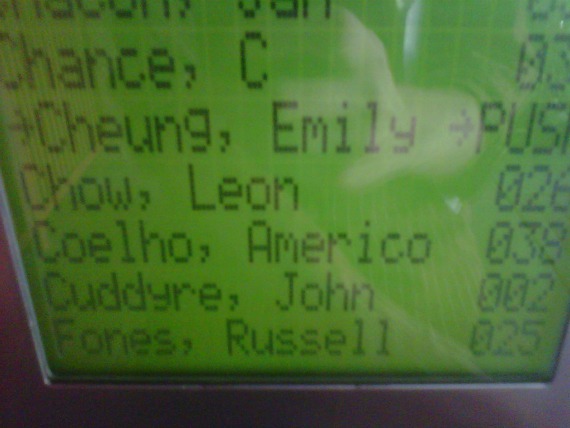 Chow’s name is still on the Walnut Creek condo’s call box. He refinanced the mortgage several times, and took out a home equity loan on the property in 2004, according to records. He received his divorce paperwork at the condo in 2005 because “the paperwork took forever,” he said. From 2004 to 2008, Chow was registered to vote at 1042 Grant Avenue, Suite No. 5, according to registration records. That’s the address of the Chinese Progressive Association, the grassroots-organizing nonprofit which Chow served as chairperson. Voters are supposed to register at their home addresses, not at their work addresses, according to the California Secretary of State. Chow moved to San Francisco from Walnut Creek in 2004, he told the Appeal on Wednesday. He lived in the inlaw units of homes on Plymouth and Silver avenues from 2004 to 2008, he said. He used the CPA office as his mailing address because he “was not allowed to receive mail” at his inlaw units, he said. He currently lives in another inlaw unit in the Moscow Street home, he said. All three of the homes are in areas zoned for single-family use, and all three homes are listed as single-unit dwellings, according to Assessor records. Chow cast votes via absentee ballots in four elections between 2004 and 2007, voting records show. Business addresses “are considered invalid” for voter registration purposes, according to John Arntz, the director of the city Elections Department. Chow said Wednesday he “wasn’t aware” of the apparent conflict. Chow’s current wife is Eleanor My Dang, according to property records, though no marriage records for Dang or Chow exist in San Francisco, San Mateo, or Contra Costa counties. Dang’s family own homes in Daly City as well as the Excelsior, records show. In 2009, Eleanor My Dang bought a foreclosed home on Naples Street. Dang was at that time living at 168 Victoria Street in Daly City, according to records. Dang lives at the Naples Street home, while Chow rents an inlaw from Dang’s family at 401 Moscow, Chow said Wednesday. Chow granted Dang co-ownership of the Walnut Creek condo in 2008, records show. Residency questions have dogged other San Francisco politicians. Former Supervisor Ed Jew resigned from office after it was revealed the Sunset District home listed as his residence was unoccupied. Jew, who was already embroiled in a bribery scandal, lived with his wife and daughter in a Burlingame apartment. Jew was sentenced to county jail for perjury, and is now serving time in federal prison for extortion. Former supervisor Chris Daly was branded a hypocrite when he and his wife purchased homes in Fairfield and quietly moved his family from their Stevenson Street condominium to the Solano County city. After an investigation, the City Attorney deemed that Daly still “resided” officially in District 6, and could stay with his family on weekends without becoming ineligible for his office. A politician can have multiple residences but only one “legal domicile,” according to the City Attorney. A candidate establishes a domicile by “inhabit[ing] a place with the intent to remain there,” according to state law. Evidence of “intent” can include Department of Motor Vehicles registration, phone bills, and other utility records. Other supervisors have split time between homes in and outside of San Francisco without issue. Former supervisor Michela Alioto-Pier owns a home in wine country in St. Helena. Chow’s political alliances are with the city’s moneyed moderates. With Chamber of Commerce president Steve Falk, Chow co-chairs the pro-development lobby Alliance for Jobs and Sustainable Growth, which has bankrolled moderate candidates. Chow has been active in the neighborhood opposing medical marijuana dispensaries. 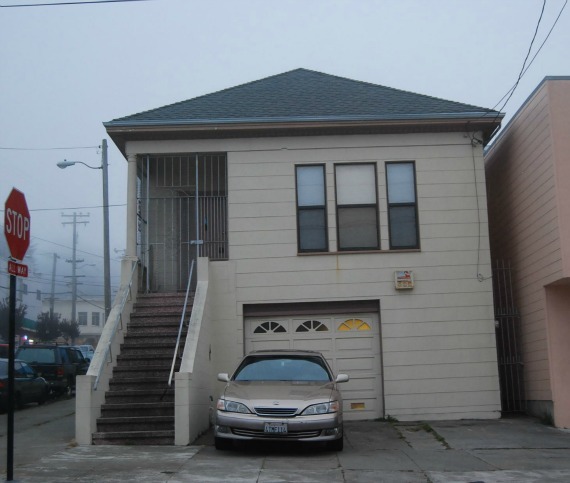 The city Planning Commission issued in February permits for a dispensary on the 4200 block of Mission Street and two dispensaries on the 5200 block of Mission Street. Chow organized a pair of rallies in opposition to the cannabis clubs, and filed an official appeal to halt the opening of The Green Cross, the dispensary permitted on the 4200 block. One of the 5200 block dispensaries, Mission Organics, had its permit upheld at the Board of Appeals. Chow, the main appellant against The Green Cross, is scheduled to appear before the Board of Appeals on July 25. Chow declared his candidacy for supervisor in April. He has yet to file any fundraising reports with the Ethics Department, according to records.